At FH Canada, we're not afraid to roll up our sleeves and get messy! 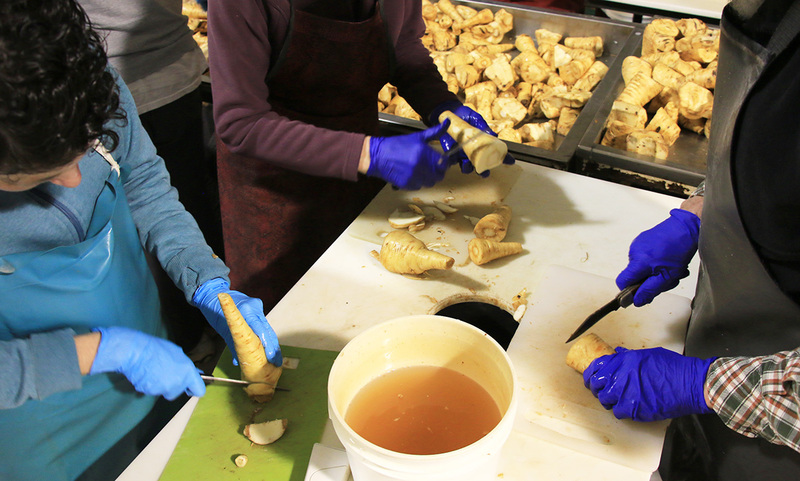 On Wednesday February 15th we headed over to Fraser Valley Gleaners to participate in the process of turning perfectly good, but sadly rejected, vegetables into life-saving, nutritious soup mix! First, we chop-chopped while hearing inspirational stories from these incredible volunteers (this venture is almost 100% senior powered!). And while these volunteers are further ahead in years than most of the FH staff, they certainly didn't seem it! Frequent reminders to "keep up" and their skill at "chop and chat" kept us on our toes. Eryn tries to keep up with these veteran volunteers (who brought their own, personal knives!). Volunteer Lena carefully strips off any apparent imperfections. Lena teaches Catherine the fine art of veggie prep. Are those turnips really rejects? You're thinking, "they look fine!" Well, turns out most of the vegetables the Gleaners receive are "inferior" and not fit for the supermarket - so, anything with a small blemish or an odd shape. But sometimes, farmers and big produce companies just send a truck load their way, too. We paused for prayer, announcements, and, of course, coffee break with scrumptious treats. Nothing speaks to the soul more than chatting with volunteer seniors over coffee cake and a hot beverage. Next, we moved to the mixing room where the soup servings are assembled, bagged, sealed, and boxed. We discovered we can make soup really, really fast (see awesome video above for proof). Shelaine laughs with a volunteer as she passes buckets of dried soup from the mixing line to the bagging table. Each bucket of soup mix is carefully measured to achieve just the right proportions of nutrients. Good food is a beautiful thing! Donna amuses this volunteer as they fill bags with soup mix. Lastly, we swept the floor, washed hands, and trundled back to our office (let's admit, we were a little exhausted). Conclusion? 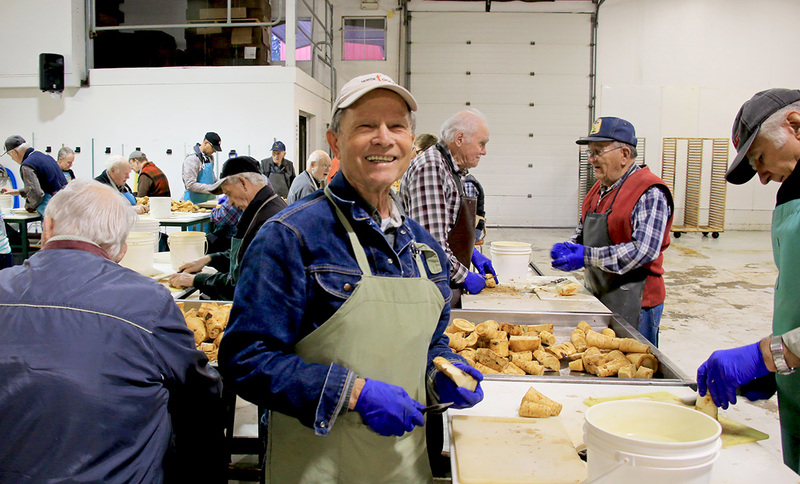 Fraser Valley Gleaners does incredible, necessary work and their volunteers are, as always, a very real inspiration. Grins all around in satisfaction at a job worth doing and a job well done. 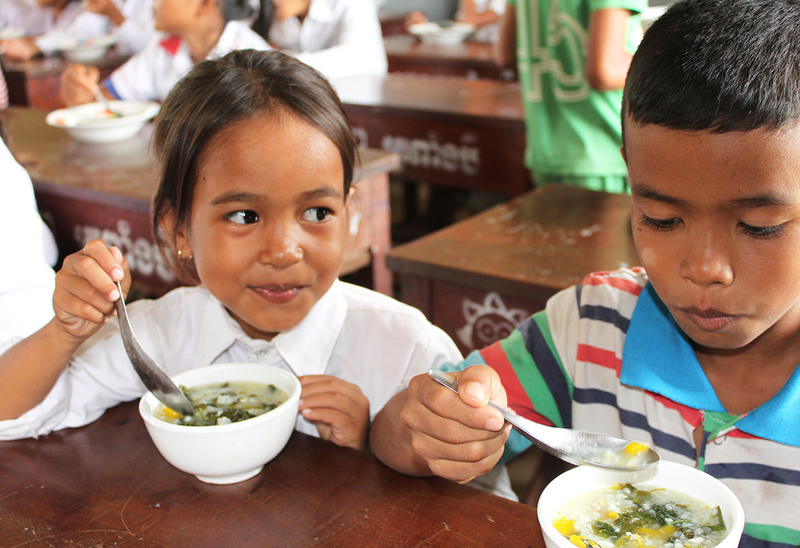 This soup is shipped to hungry children and refugees around the world. Do you want to pitch in and help?